Miniature PCs are apparently all the rage these days. 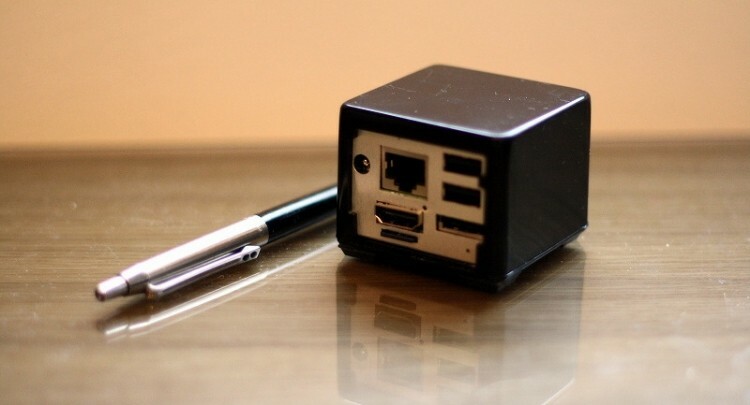 With the success of comparable projects such as Raspberry Pi and Beaglebone, these 2-inch cube computers are another inexpensive alternative, starting at just $44.95 for the rudimentary CuBox-i1. Armed with a 1GHz single-core ARM processor, this device includes 512MB of DDR3 memory, a GC880 GPU, and an HDMI 1.4 output, among other features and components. According to TechnoBuffalo, SolidRun, the company behind the product, is no stranger to the tiny PC industry. They previously released the original CuBox in 2011, but have admittedly done little since. Perhaps the most interesting thing about the revamped CuBox-i line is that it can install both Android and Linux, as well as Python, Perl, compilers, IDEs and media players. Not to mention the fact that by purchasing a microSD card with the system, you receive Google’s Android 4.2.2 Jelly Bean pre-installed into the unit. As for hardware specifications, the product’s capabilities are heavily dependent on the money that you shell out. There are four different machines in the SolidRun repertoire, with the flagship device (the CuBox-i4 Pro) retailing for $119.99. This model runs on a 1GHz quad-core processor, contains a GC2000 GPU, GbE LAN, a microSD slot, 2GB of DDR3 memory, an optical S/PDIF audio output, an eSATA 3Gbps port, built-in WiFi and Bluetooth. Be sure to check out SolidRun’s official webpage to place an order for any of the aforementioned PCs.